Do you have a self-managed superannuation fund? The accountancy and tax side of managing these funds can be complex and daunting without a quality auditor or an accounting team with the appropriate software systems. One requirement of managing your own super fund is auditing. You will most likely know that audits are required on an annual basis. However, you can’t get just anyone to do an audit. An audit run by a poorly qualified practitioner can have lasting effects on your fund. By law, you must choose an independent auditor that is registered with the Australian Securities & Investments Commission (ASIC). Sydney’s trusted team at Antony Syndicate have a wealth of knowledge and experience in the self-managed superannuation arena. We are registered with ASIC and can arrange and conduct your superfund audit for you. Our auditors are experts in super law, codes of practice and SMSF regulations. We’ll ensure a smooth auditing process with fast and accurate results. As the trustee of a self-managed superannuation fund, you should appoint an independent auditor at least 45 days prior to the audit’s return due date. Once you’ve chosen Antony Syndicate, we’ll send you all the information required and explain the scope of the audit. Our client’s satisfaction is always at the forefront of our minds, and you can be assured of our full commitment and collaboration with you throughout the auditing process. In the 2018 Federal Budget, the government announced plans to overhaul the self-managed superannuation audit system by replacing the annual audits with a 3 yearly audit instead. This new system will not take effect until July 2019 and exact details are yet to be released. By collaborating with Antony Syndicate, you can rest assured that we are on top of all audit changes and will keep you, our client, up to date too. Sure, we’re experts at self-managed superannuation audits. But to get the most out of your SMSF, Sydney’s reputable team at Antony Syndicate is the wise choice. Our track record speaks for itself. We assist fund members with staying on top of tax regulations related to their self-managed fund and strategise with you to create a prosperous and hard-working investment portfolio. Don’t just hope for the best. Drive growth and take charge of your SMSF with our expert team. Make the move to Antony Syndicate today. Simply schedule a consultation by calling (02) 9648 6880 and turn your self-managed superannuation auditing into a seamless, beneficial and efficient process with us. 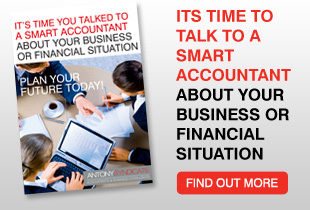 Antony Syndicate is a registered incorporated Chartered Accountancy and Business Consulting Firm. Antony Syndicate services the accounting, GST, tax, and financial needs of business organisations, their employees and investors. We work 5 days a week, every day including major holidays. Contact us for any info.